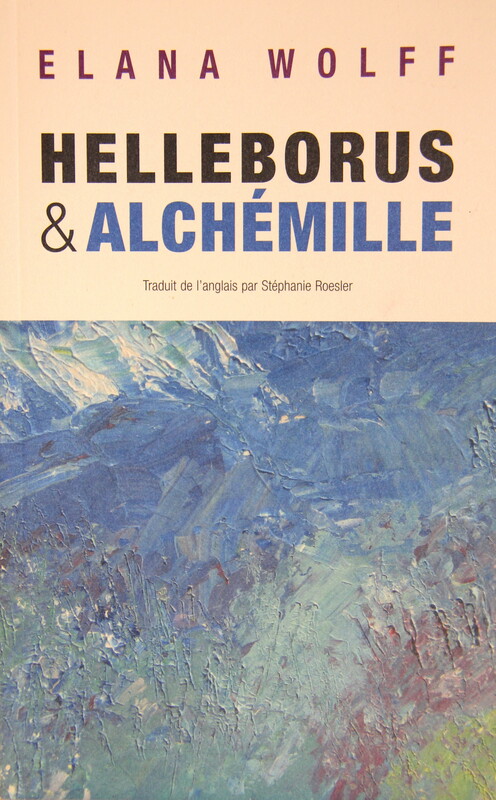 The 2014 John Glassco Prize of the Literary Translators’ Association of Canada was awarded to Stéphanie Roesler for Helleborus and Alchémille, her French translation of selected poems by Elana Wolff. The collection Helleborus and Alchémille included the selected poems from four of Elana Wolff’s books of poetry published with Guernica: Birdheart, Mask, You Speak to Me in Trees, and Startled Night. Elana Wolff has published four collections of poetry with Guernica Editions, including You Speak to Me in Trees, which was awarded the F.G. Bressani Prize for Poetry. She is also the author of Implicate Me, a collection of essays on contemporary poems; co-author with the late Malca Litovitz of Slow Dancing: Creativity and Illness (Duologue and Rengas); and co-editor with Julie Roorda of Poet to Poet: Poems written to poets and the stories that inspired them. Elana has taught English for Academic Purposes at York University in Toronto and at The Hebrew University in Jerusalem. She currently divides her professional time between writing, editing, and designing and facilitating therapeutic community art courses. Tagged with Elana Wolff, Helleborus and Alchémille, John Glassco Prize, Literary Translator's Association of Canada, Poetry, Stéphanie Roesler, translation.